Unlike Fight Club, this is something we can talk about. Post a screenshot of, and provide context for, when YOU joined the 1337 Combat Club! Nice :) Congrats :) looks like you'll beat me to the triple l33t club :) Which, btw, I still think is necessary for finding Raxxla since only Elite could find it per the origin story. Thanks Rooster! 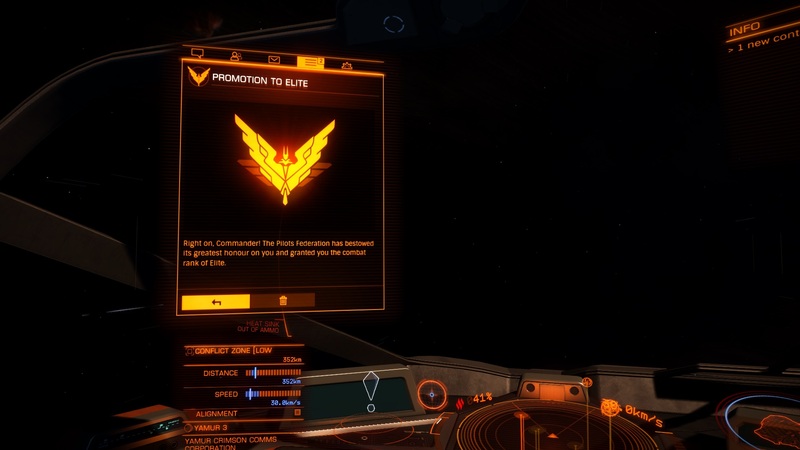 I should already be Elite exploration-ranked, but I've been procrastinating for a long time (since May 2015, when I hit "Pioneer").